Mercedes Benz has finally launched the AMG variant of its smallest car, the Mercedes A Class hatchback, the 2014 Mercedes A45 AMG and the car now becomes the first small car to get the AMG treatment. The car has been launched at the Geneva Motor Show 2013 and the price tag it will come at 49,000 Euros which converts into Rs.35 lakhs in Indian currency but we believe that the car would be priced at a significantly lower price when it reaches the Indian shores as the C-Class in AMG guise costs around Rs. 35 lakhs. The smallest Mercedes gets a superman powerful engine to be precise. It gets a 2.0 litre turbocharged direct injection petrol motor that has been tuned to give out 360 horses and a peak torque of 450 NM. The power density stands at 181 BHP and these power figures are good enough to compete with your everyday supercars. The engine is mated to a dual Clutch 7-speed transmission and features three driving modes. 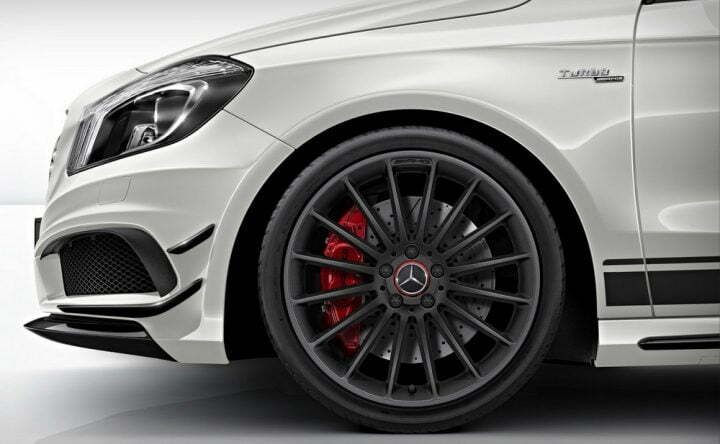 The car comes with AMG 4MATIC all wheel drive system and gets all the goodies an AMG gets. It gets the AMG Aerodynamic package to lend it that sporty and aggressive character and the exterior mirror housing gets made up of carbon fibre. You get an AMG speed sensitive steering to tame the beast which has been made to limit its speed electronically at 250 kilometers per hour. For the record, it will reach 100kmph from standstill in just 4.6 seconds. 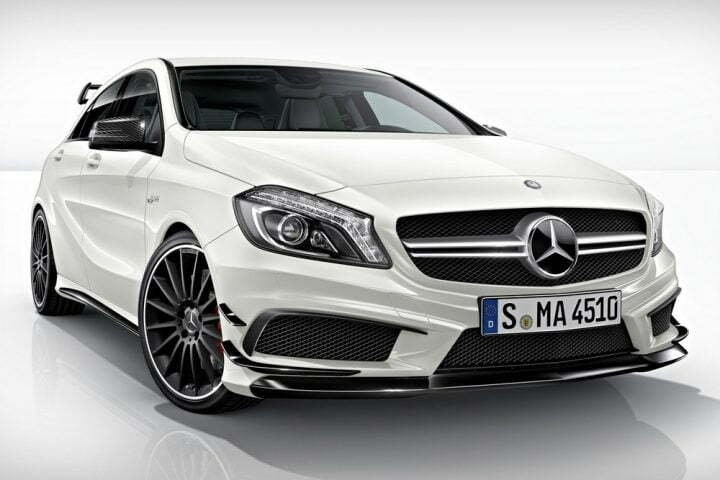 Mercedes Benz has completed the A-Class hatchback by rounding it off with one hell of a performing engine. The engine is the only thing to talk about in AMGs and Mercedes Benz aims to do just that with that their AMG lineup. The company has some launches lined up for 2013 as well and they even intend on topping the global sales charts in the second quarter of the year ahead of Audi and BMW. Mercedes Benz is back, BMW and Audi watch out. Check out some more new car launches here.